The manual sampling of import coal (0-50 mm) takes place from inland vessels or at storage areas in accordance with ISO standard. Thereby the participating sampling institutes / laboratories, are to carry out a representative sampling according to ISO standard. The laboratories deliver as a result the ash content (Wf) of the sampled fuel and the completed test schedule. The measurement results are evaluated statistically. 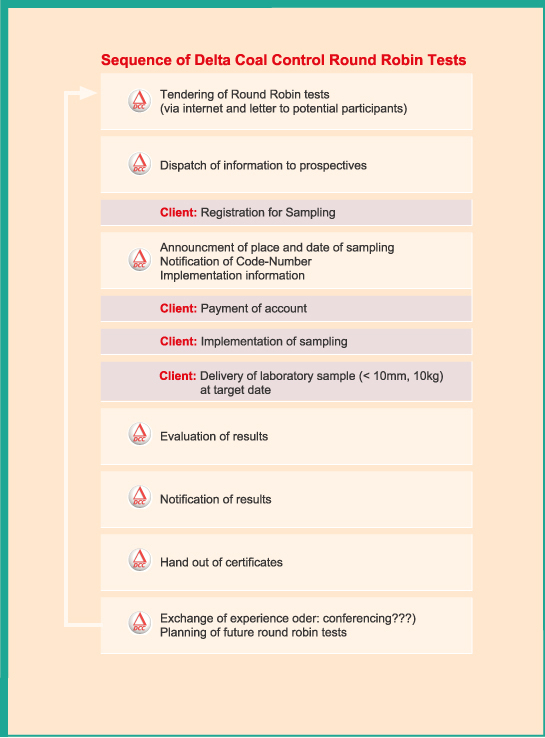 After completion of the evaluation, each participating laboratory receives a certificate of successful participation, and an evaluation of all test results and testing laboratories as a PDF document for download in the "Internal area". Sign up by downloading the registration form here as a PDF for printing and faxing here.